Racing mainsail is nearly new. With a displacement of just 6800 kg it is clear that this yacht was designed for speed. Two sheet winches and one halyard are electric. Equipped with AIS transceiver and Sea-Me active radar transponder. Wind instrument, speed and VMG instruments installed at the base of the mast. This is a thoroughbred boat built to race but with cruising creature comforts. The boat is very well looked after and the vendor has spared nothing to keep his boat in tip-top condition. 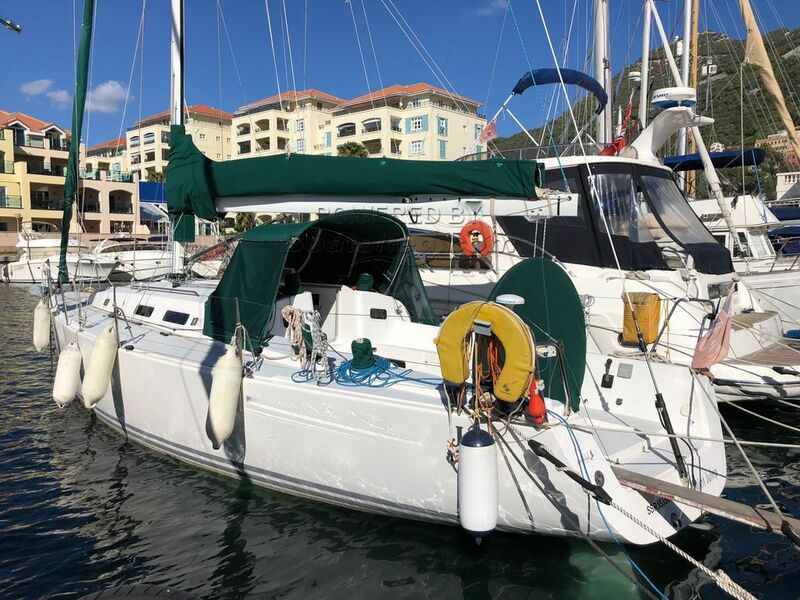 The vendor reports being able to sail at 9 knots when close hauled and has seen speeds of up to 15 knots when off the wind. The yacht has a comprehensive wardrobe of sails for racing or cruising. The racing main has only be used three times. This yacht is worth a viewing by anyone who is a serious yachtsman. This J- 122 has been personally photographed and viewed by John & Lynda of Boatshed Gibraltar. Click here for contact details.